Start and finish at the Pozo Saloon and cover an out and back course on country roads. Registration is via www.active.com, The entry fee includes a T-shirt, breakfast, and raffle ticket for the first 200 entries. Proceeds benefit Jack’s Helping Hand. 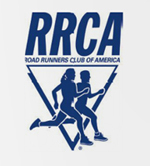 Gift certificates from Running Warehouse to the top open and masters, awards to the top 3 in nine age divisions, and many random draw prizes (must be present to win). $100 cash bonus for new course record (the current marks are 14:11 by Louie Quintana in 1997 and 16:59 by Kara June in 2007). Running Warehouse, (800) 606-9598, info@runningwarehouse.com.